Just after Samsung unveiled the Galaxy Core Mini 4G, the company has released another smartphone of the Core series – the Samsung Galaxy Core II. The Samsung Galaxy Core II is the successor to the Galaxy Core. The handset, which is available in black and white colours, has a faux-leather back. The device has a 4.5 inch display with resolution of 800 x 480 pixels. The smartphone is powered by a 1.2 GHz quad core processor with just 768 MB of RAM and 4 GB of internal storage. 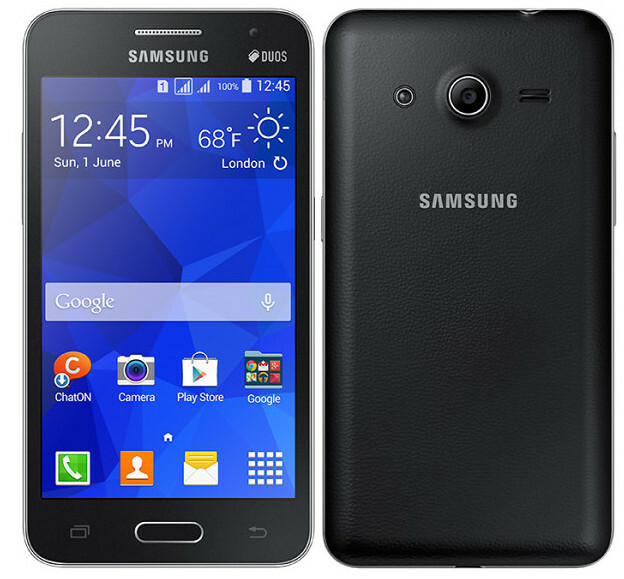 The Samsung Galaxy Core II is equipped with a rear facing 5 MP camera with LED flash. There is also a front facing VGA camera. The device runs on the latest Android KitKat version with a layer of the new TouchWiz Essence UI. It also has dual SIM support with 3G connectivity. The pricing or the release date hasn’t been revealed yet.